Moscow, July 19, Interfax - Patriarch Bartholomew of Constantinople addressed his message to Ukrainian journalists and called the conflict in Donbass "a fratricidal war." “We send our blessing, love and concern for each and every Ukrainian, without any exception. We pray for the unity of the Ukrainian people. We pray for peace in Ukraine. 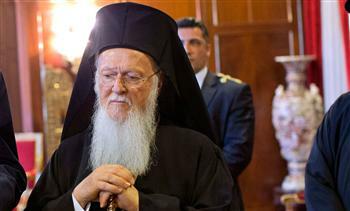 Our hope is that fratricidal war would cease,” he said in his message posted by official website of the Constantinople Patriarchate. “The question is to what degree the Ecumenical Patriarch is ready to compromise and waive his ambitions,” the edition wonders.